Bandwagon is ushering Deerhoof to Singapore soon. Famed for collapsing the canons of punk, noise and DIY-minded rock into a Technicolour, avant-rock explosion of serrated edge and contorted grooves, the band's most recent opus was 2018's Deerhoof Plays Music of the Shining, wherein the band reimagined two songs from the score of the film inspired by one of Stephen King's most formidable calling cards. The sounds unspooling this night will be staunchly and deliriously original. 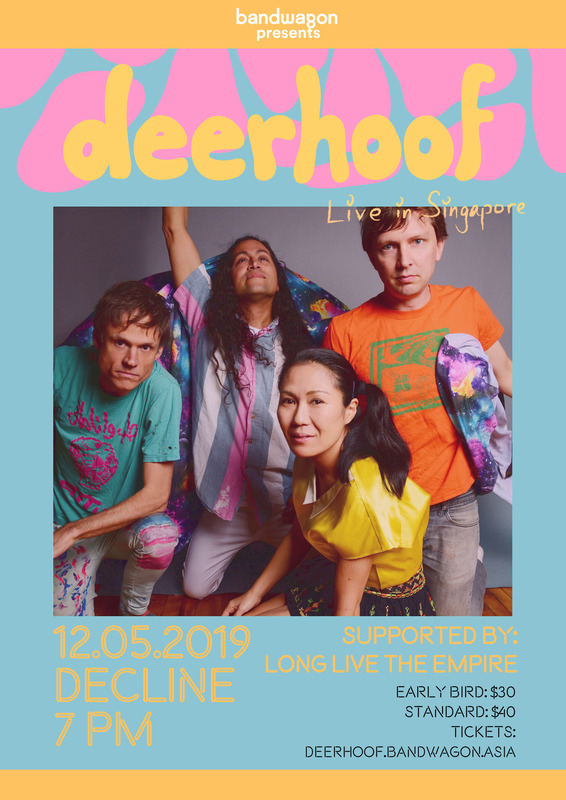 Catch Deerhoof live in Singapore on Sunday, 12 May, at Decline, from 7pm onwards. Tickets, $30 (early bird) and $40 (standard), are available here.